There is no one like you in all the world, but we all still get to be part of God's Church! Doesn't that sound like a good idea indeed? Want to help young children understand the story of God's creation in people? Exploring how God made everybody different in all sorts of ways, God's Very Good Idea is a timely, bright, and inspiring book with a unique message: That because God made everyone unique, special and in him image, we should love everyone like we love God. God's Very Good Idea is one that is important for everyone to know. It teaches children to accept difference people who may not be like them, and to love them like God does. With big, bright, and bold illustrations from Catalina Echeverri - this new book celebrates diversity, and will help children grow up with a love for God’s creation...us! Starting with creation and the garden of Eden, right through Jesus coming to earth, and up to today, God's Very Good Idea is a story of people, and how God made them and loves them. Perfect for children aged 3-6. God's Very Good Idea by Trillia J. Newbell, Catalina Echeverri was published by Good Book Company in September 2017 and is our 424th best seller. 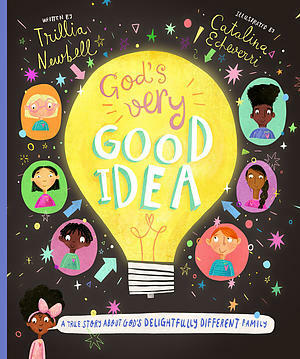 The ISBN for God's Very Good Idea is 9781784982218. 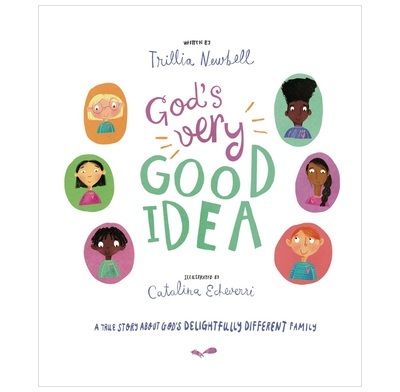 Be the first to review God's Very Good Idea! Got a question? No problem! Just click here to ask us about God's Very Good Idea. A:This book is suitable for kids from 3 years up to 6 years. Thank you for using the Q&A Forum. God's very good idea is to have lots of different people enjoying loving him and loving each other. This stunningly illustrated journey from the garden of Eden to God's heavenly throne room shows how despite our sinfulness, everyone can be a part of God's very good idea through the saving work of Christ. 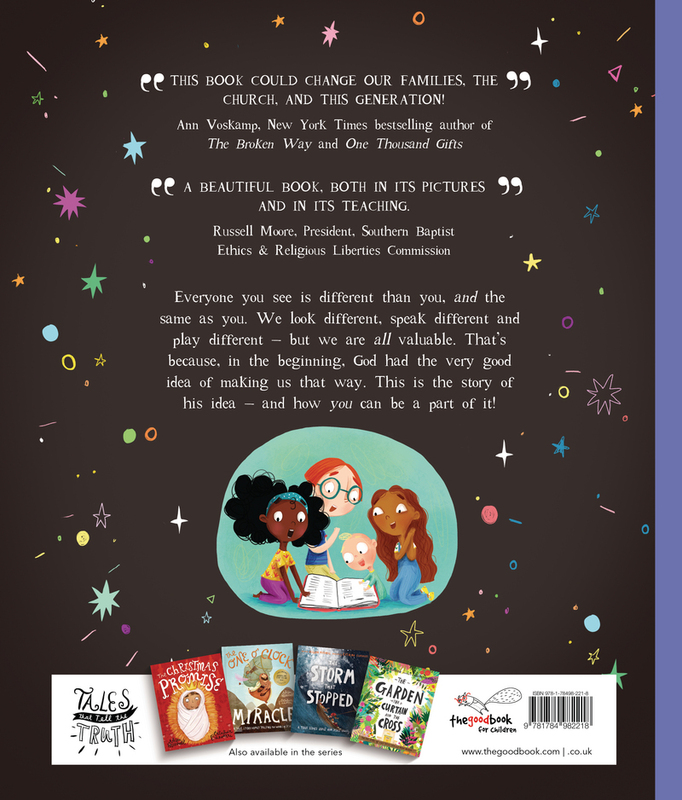 This book celebrates diversity and will help children see how people from all ethnic and social backgrounds are valuable to God and how Jesus came to rescue all kinds of people. It will also excite them about being part of church - God's delightfully different family.